he ultimate tool for creating video slideshows. reate slideshows without limits. Add any amount of photos, videos and music. Use an impressive arsenal of creative tools and techniques. Powerful tools can still be fast and easy to use. 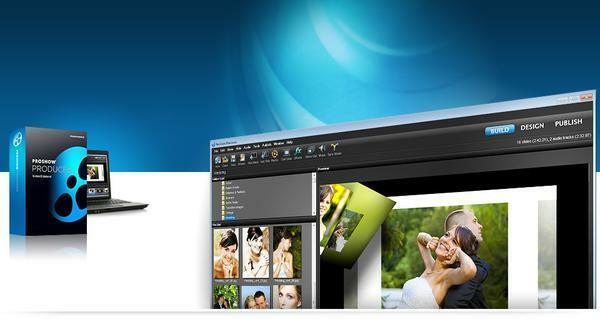 Automatic show creation and instant effects make creating polished slideshows fast and easy. Workflow that works with you, not against you. Take total control when you need to. Only Producer lets you take total control over your shows. Tweak, edit, and customize 'till your heart's content. Fine-tune, or build something entirely new. Share, publish and sell in HD. Online or on your TV. Over 40 ways to publish at your fingertips. Stream on Facebook, YouTube, your blog or website. Burn to DVD, CD or Blu-ray. Or go mobile on an iPad or iPhone.